Linda C. French and E. Tonas Kalil (directors) founded Mid-Atlantic Burn Camp (MABC), an all-volunteer organization, in 1992. Both were physical therapists at the Baltimore Regional Burn Center. In 1988, after attending a presentation describing the Denver Children’s Hospital’s burn camp, Linda arranged to take two young burn survivors from the Baltimore Regional Burn Center to the Colorado camp. Upon return, she and Tonas began planning for a local burn camp. 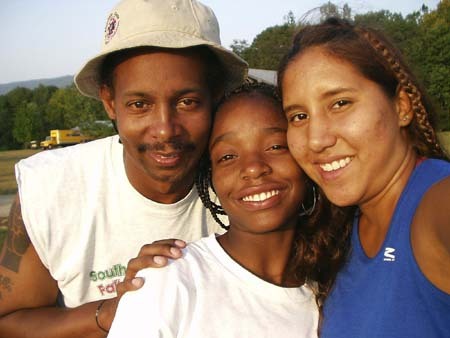 From 1989 to 1991, Linda and Tonas organized and ran an annual burn camp that served children from Maryland, Pennsylvania, and the District of Columbia. 19 campers and 8 counselors attended the first camp, held in July of 1989 at Camp Fairlee Manor on the Eastern Shore of Maryland. Burn Camps ’90 and ’91 were held at Capital Camps near Waynesboro, PA. While the facilities at capitol were more extensive, programs had to be provided by the all-volunteer burn camp staff. By 1992, Linda and Tonas recognized the need for better organization and a camp facility that could support future growth and provide the depth and variety of programming needed for a first class burn camp. They incorporated Mid-Atlantic Burn Camp and moved to Camp Horizon’s near Harrisonburg, VA, where burn camp continues to be held annually. There is no charge to any camper for participation in this program. The Mid-Atlantic Burn Camp, Inc., is a non-profit, charitable, tax-exempt 501 (c)(3) corporation that receives funding through donations from organizations, corporations, and individuals. Since its inception, MABC has supported an ever-expanding outreach to burn units throughout the Mid-Atlantic region, in order to offer their programs to the greatest possible number of young burn survivors and their families. As MABC was inspired by the efforts of others, so it has inspired others. Exchange counselors from both Holland and England have gone home to set up burn camps of their own. MABC is recognized as a resource center for burn camps and is in the forefront of establishing greater cooperation nationally and internationally among such camps. In 1995 the directors were selected by the International Association of Fire Fighters to serve as directors of their National Fire Fighters Children’s Burn Camp, which is now held in Washington, DC each fall. This program brings one camper and one union fire fighter from each burn camp program in the US and Canada to the nation’s capitol for a special program that focuses on education, information exchange, culture, and the positive difference one person can make in the life of another. MABC also hosted the 4th International Burn Camp Workshop. This workshop allowed Burn Camps from around the world to come together to share ideas and learn new techniques for their programs. And in 2000 MABC was was one of six camps that came together to form the International Association of Burn Camps. An organization dedicated to promoting and supporting burn camps and their related programs around the world.